At the successful conclusion of the two-year Department of Health-funded project, Derby has implemented GS1 and PEPPOL standards across the three Primary Use Cases within the Trust: Inventory Management, Purchase-to-Pay and Product Recall. Derby Teaching Hospitals NHS Foundation Trust has completed all four required phases of Scan4Safety. At the successful conclusion of the two-year Department of Health-funded project, Derby has implemented GS1 and PEPPOL standards across the three Primary Use Cases within the Trust: Inventory Management, Purchase-to-Pay and Product Recall. The process was concluded with an end of final phase audit, which included independent representation from another NHS trust. 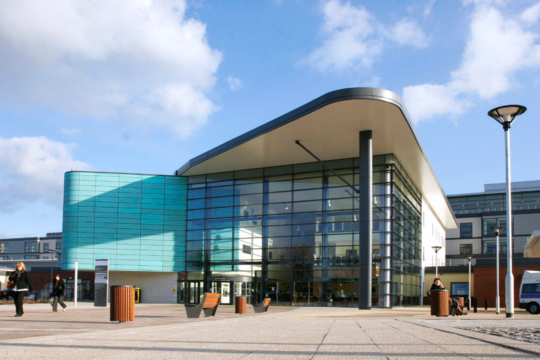 Derby was judged to have attained the benefits from Scan4Safety as set out in their original business case, realised financial benefits amounting to over £1.6 million, and to have put the Trust on course to exceed the 4:1 ‘Value for Money’ ratio projected at the start of the project. There are three ongoing commitments for the Trust relating to the Scan4Safety requirements for inventory reduction, web requisition reduction and pharmacy. Derby is the first of the six NHS Demonstrator Site trusts to complete Scan4Safety, with the other five on course to complete the project by the end of the current NHS financial year. Scan4Safety is a pioneering initiative led by the Department of Health that is improving patient safety, increasing clinical and operational productivity and advancing supply chain efficiency in the NHS through the adoption of international standards.